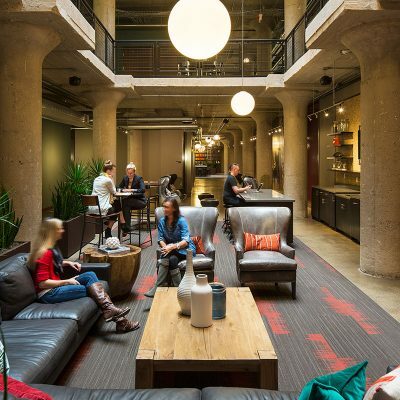 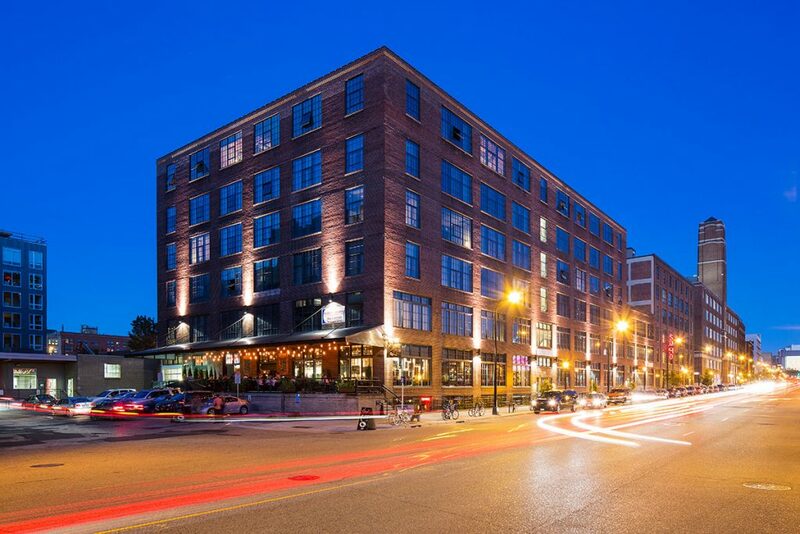 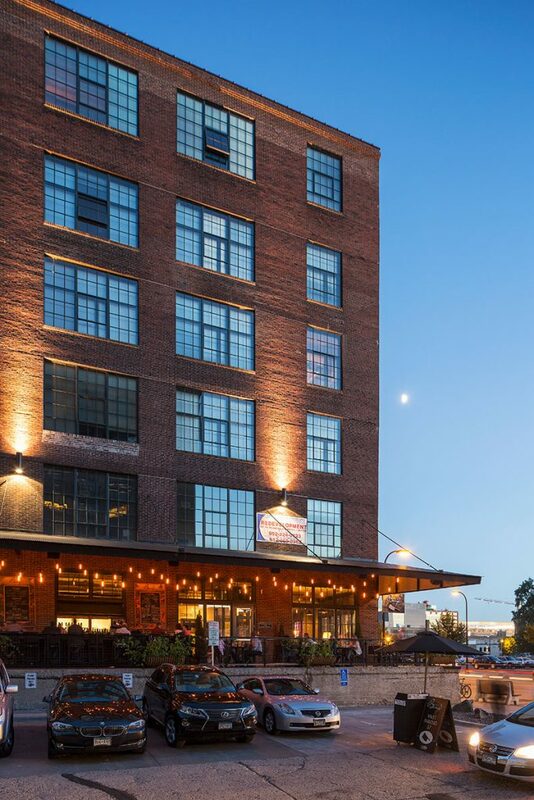 Elsewarehouse is a 6- and 3-story historic brick and cast-concrete structure with enormous windows that sits along the historic commercial corridor of Washington Avenue, reinforcing the urban streetwall of its neighbors. 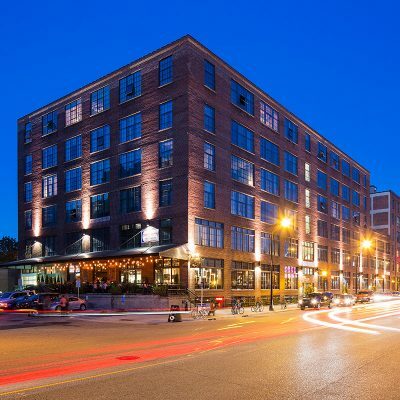 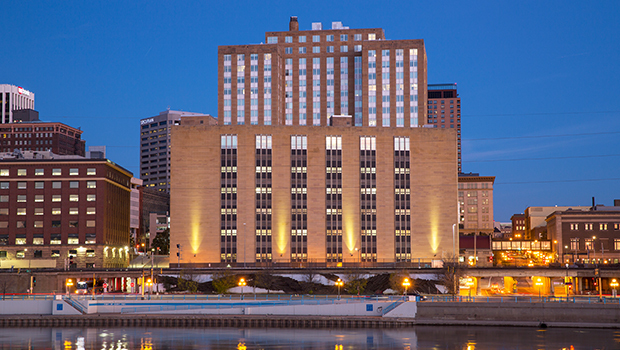 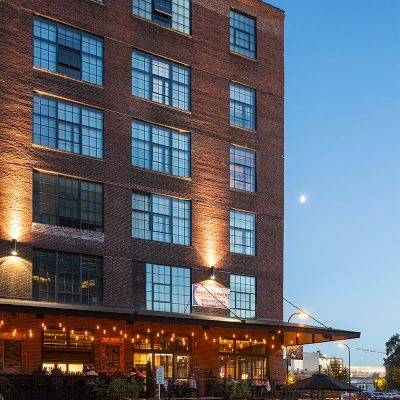 By repurposing a historic warehouse in a strategic, sustainable, and design-centric way, BKV Group both preserved a piece of Minneapolis history and contributed to the revitalization of an up-and-coming urban neighborhood. 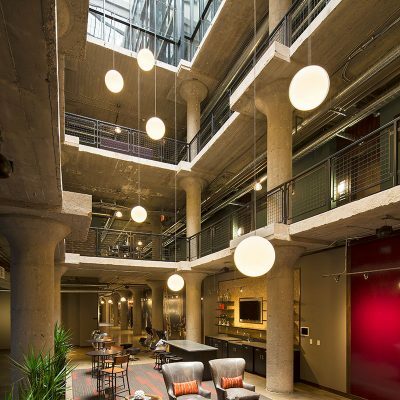 Formerly known as the the Scriver-Andrews Warehouse Company Building, the floor plates consist of 147-foot deep open warehouse space. 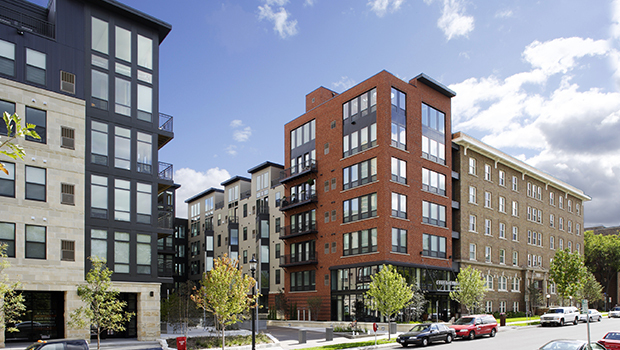 The new design exploits the raw and utilitarian structure and builds upon its existing historic qualities. 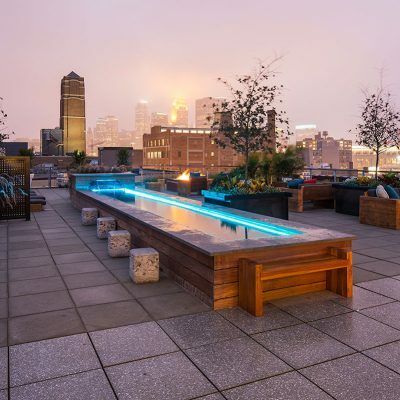 The most significant and dramatic intervention was the insertion of two crystalline, glassed-in atria that fill the interior with daylight, revealing a new quality of the concrete structure. 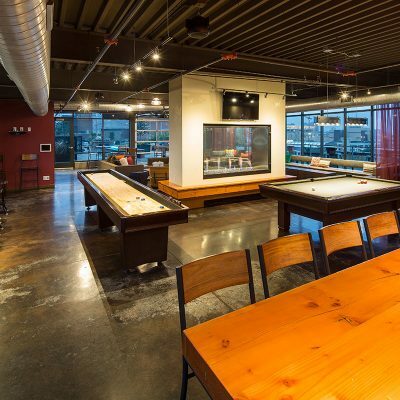 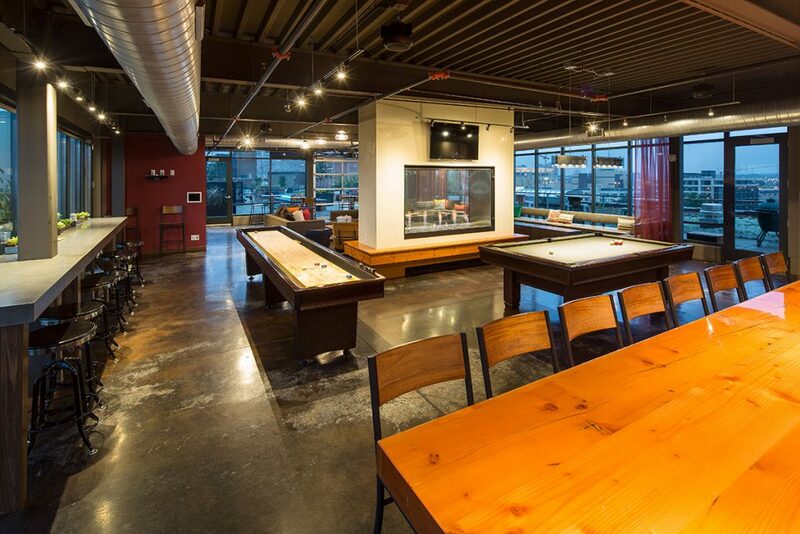 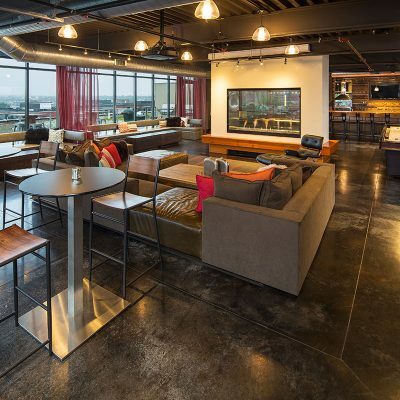 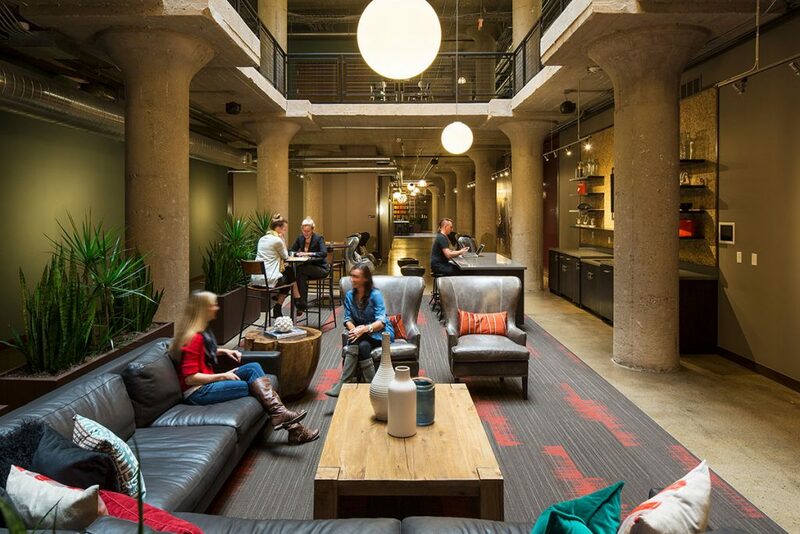 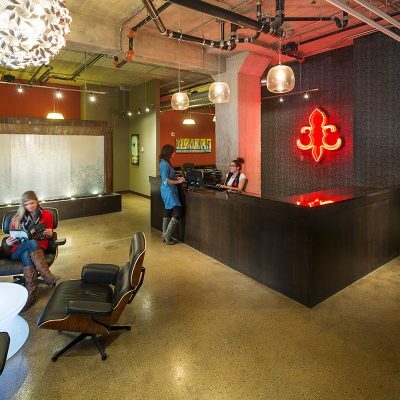 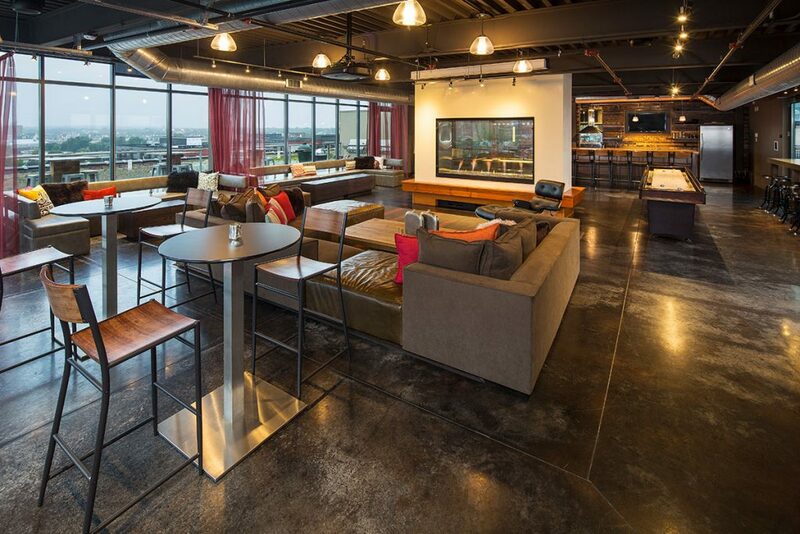 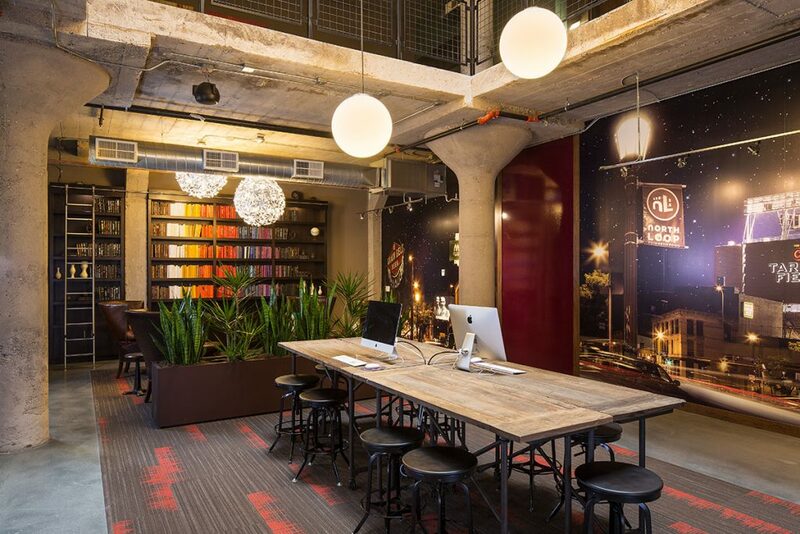 Amenity spaces use industrial materials in a new and creative way to define each space. 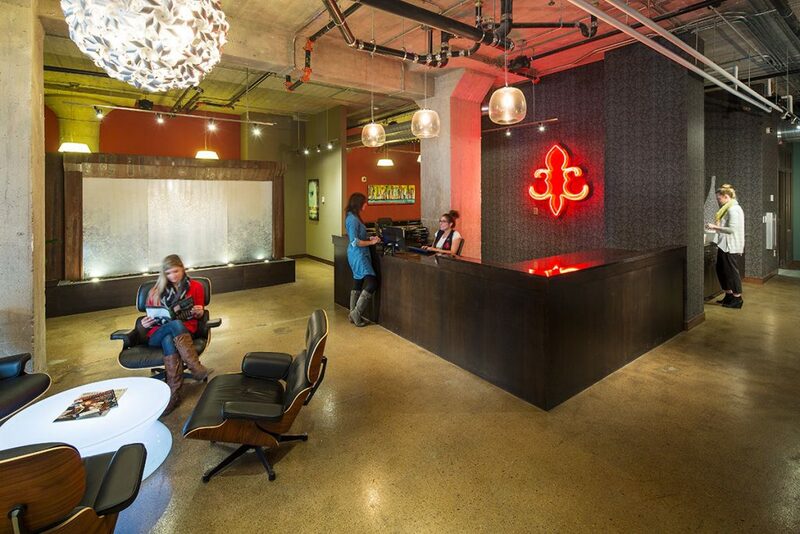 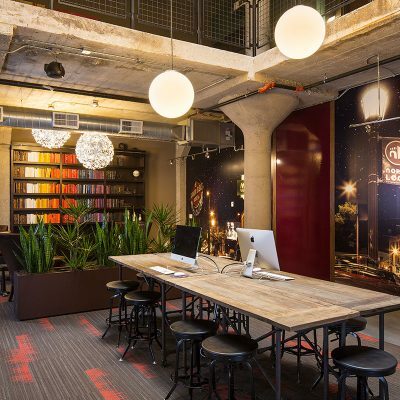 Retro graphics, lighting, and furniture define common spaces with color and warmth. 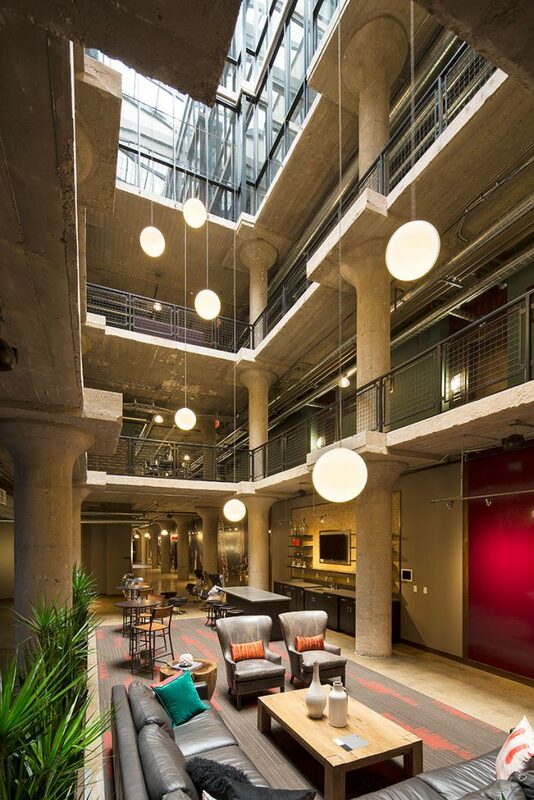 Loft-style units feature open floor plans and warm wood floors. 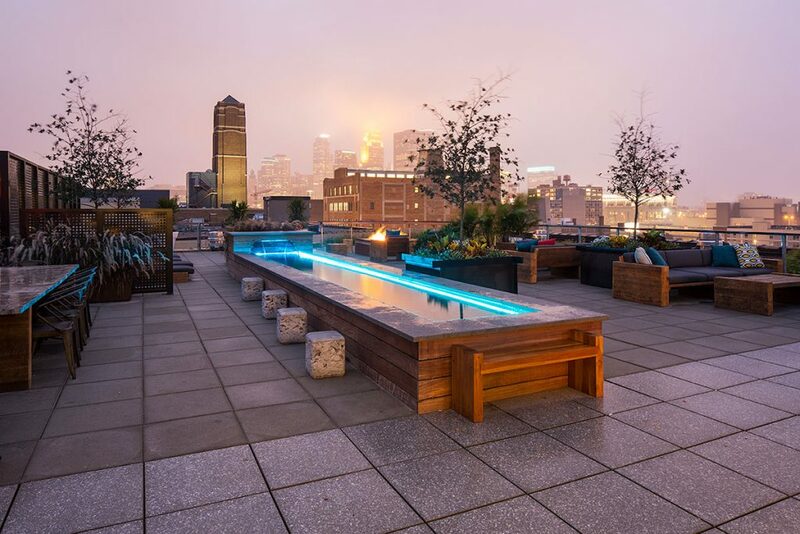 And the steel and glassy clubroom with 360 degree views of the downtown skyline and the Mississippi River offers a stunning place for residents to gather and socialize.